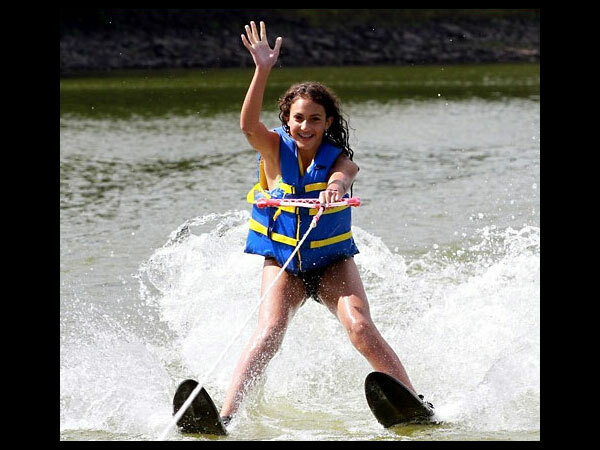 This is my second time on waterskis. I love it. Let’s get a boat when I get back home to Jordan. Our lake is 7 miles long and surrounded by beautiful pine lodge forests. It is also an American Eagle preserve so we get to watch these magnificent birds fly over our heads. 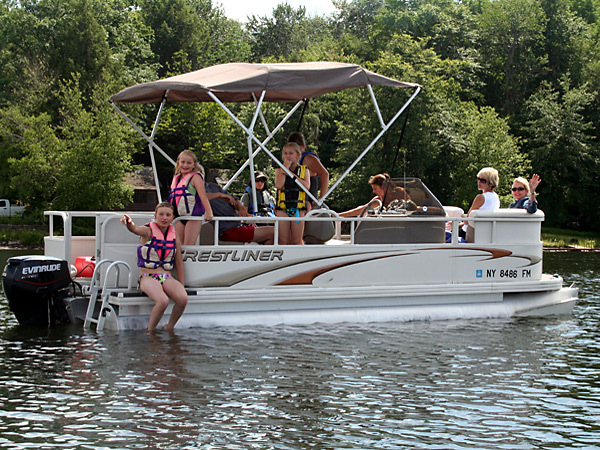 Arno Mares, the camp’s owner and director used to own a water skiing school in Southampton, NY and has over 45 years of experience in teaching this sport. 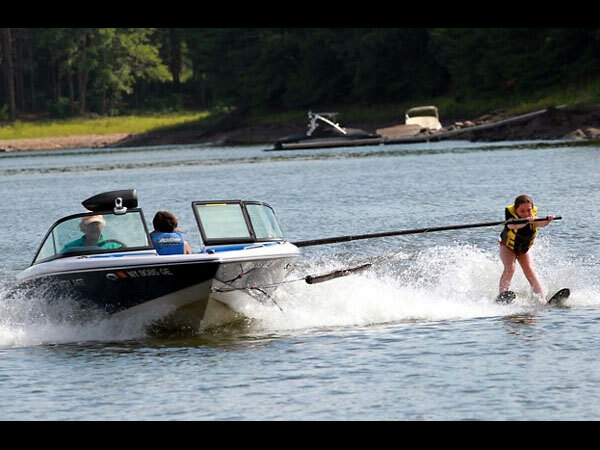 The camp uses Ski Nautique boats exclusively for our water ski program which allows us to use a ski boom apparatus to teach our campers how to water ski. 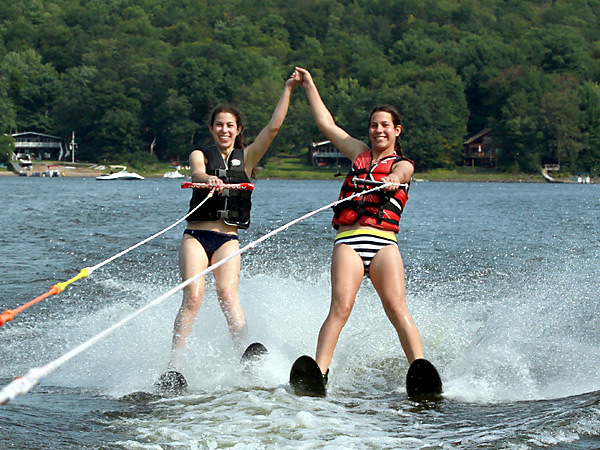 Our state of the art teaching techniques allows almost everyone to achieve success at water skiing. This is an exciting sport and is a skill you will have for the rest of your life. 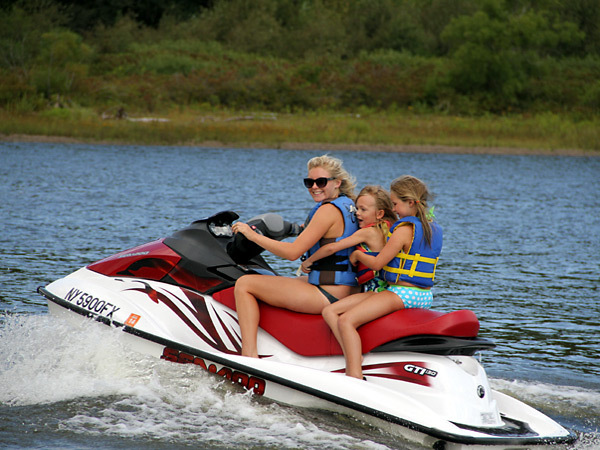 Safety is paramount in all of our programs, so the lakefront is staffed by an American Red Cross Water Safety instructor and a Red cross Certified Lifeguard. Even beginners get up right away. Jetskiing with my room mate is tons of fun! in between our water ski lessons. Let's get a boat when I get back home to Jordan. 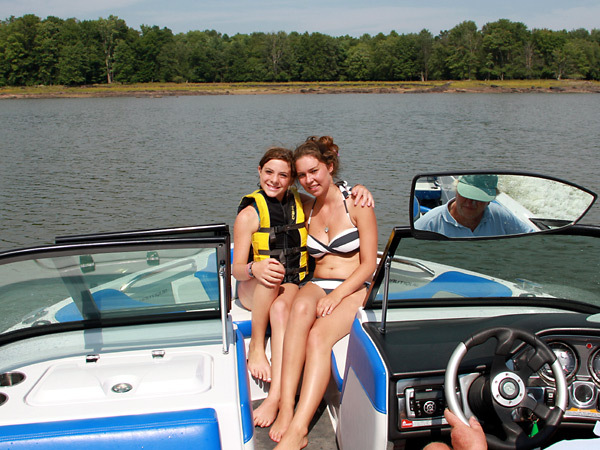 We enjoy sunbathing in our high tech ski boat. Be sure to bring your suntan lotion! I can't believe I am doing this!I feel like I'm walking on water. 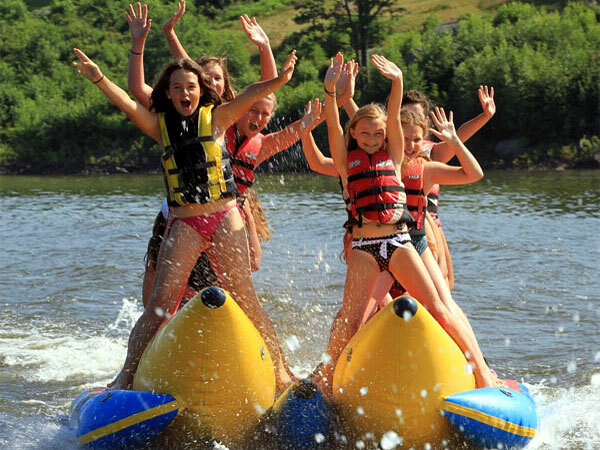 Riding on a banana boat is like being on a roller coaster on water!.